Take a look at this gorgeous Squier Classic Vibe 60s Jazz Bass Fretless 3-Color Sunburst - an affordable, high-quality fretless bass, packed..
Take a look at this gorgeous Squier Classic Vibe 60s Jazz Bass Fretless 3-Color Sunburst - an affordable, high-quality fretless bass, packed full of vintage tones and sensibility. 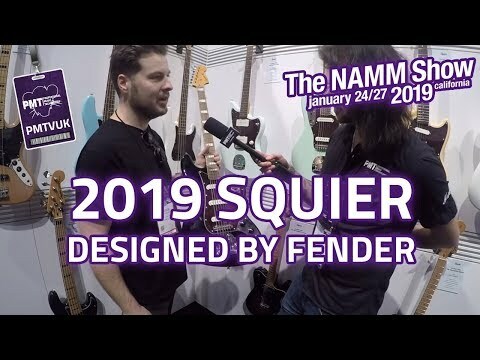 Squier's illustrious Classic Vibe lineup was developed to offer aspiring professionals and players on a tight budget the chance at a vintage-style playing experience for a reasonable price. Packed full of vintage Fender sensibility, and featuring that renowned Jazz Bass playability and versatility, this new Fretless Squier Classic Vibe 60s Jazz Bass would make a welcome addition to any bassist's collection. A fretless bass is, quite literally, what it says on the box - a bass without frets! This leaves you with a super-smooth fingerboard, allowing you to add huge slides and vibrato to your playing, just like you could on an upright. No need to worry about losing your place though: the fingerboard still has line markers where the frets would normally be, so you can still play as accurately as ever. As with all of the new Squier Classic Vibe models, this Classic Vibe 60s Jazz Bass Fretless is fitted with pickups that are 100% designed by Fender. These single coil pickups feature Alnico magnets, and are voiced to reproduce those bright, articulate Jazz Bass tones as heard on countless hit records over the decades. The electronics on this bass are also easy to use. The control pot closest to the pickups is where you control the Volume, the next one is a Tone control, and the last one is a Blend control, allowing you to choose how much of each pickup is in the mix (set to 12 o clock, both pickups have equal volume). Contact your local PMT Store or our Online Sales team directly if you'd like to know more about the availability of this fine instrument.